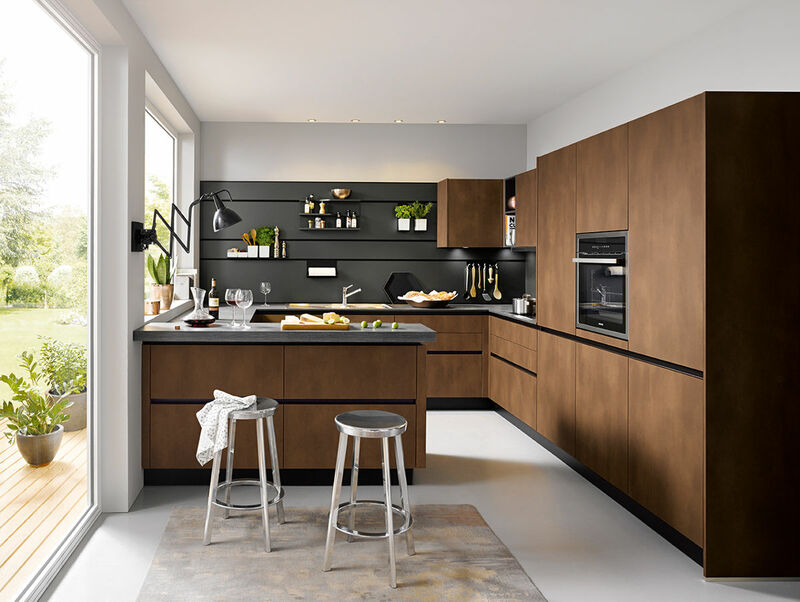 German handleless kitchens look great in contemporary and minimalist kitchens as they give it a smooth, clean line for a timelessly classic look. A new kitchen is a huge investment and not one you’ll want to make on a regular basis. Therefore, it’s important to choose a style that will not date and you can be sure you’re going to like for many years to come. Perfect for small kitchens and large ones too! 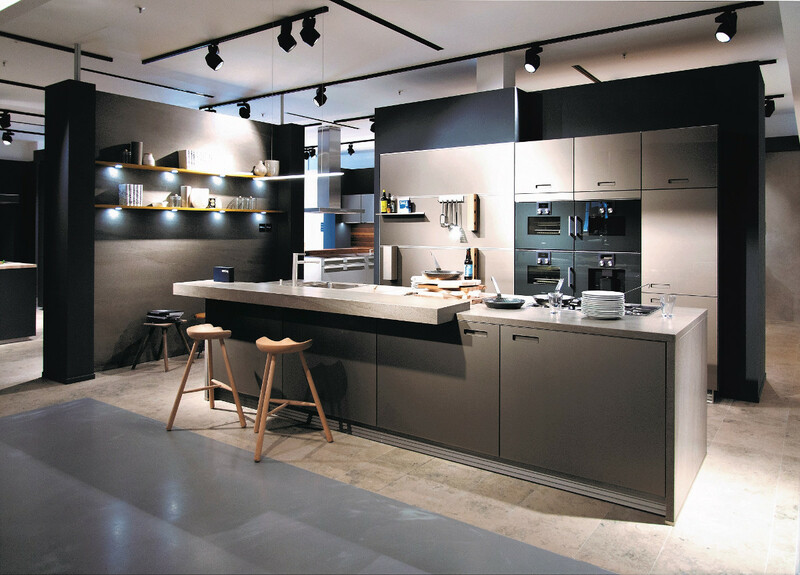 Our german handleless kitchens are unfussy and give the illusion of greater space – handles tend to draw the attention of the eye, leading you to focus on each door or drawer as a separate unit, whereas the sleekness of a handleless kitchen gives nothing specific to focus on, making the room appear larger. This makes them ideal for use in small kitchen spaces. They also look stunning if they are part of an open plan living area. The sleekness of the design will give the entire room a cleaner and less cluttered feel which will really enhance your home. Additionally, German handleless units are easier to keep clean as you can quickly wipe the whole surface area, and there is no opportunity for dirt to accumulate around the handles. Whilst our units come in a wide range of colours and finishes, the ease of keeping them clean is probably why white is our most popular colour for handleless kitchens. Sometimes drawer and cupboard handles can be a pain – quite literally – if you bump against them. They can also catch your clothes as you brush past. With handleless units, this will never be an issue. 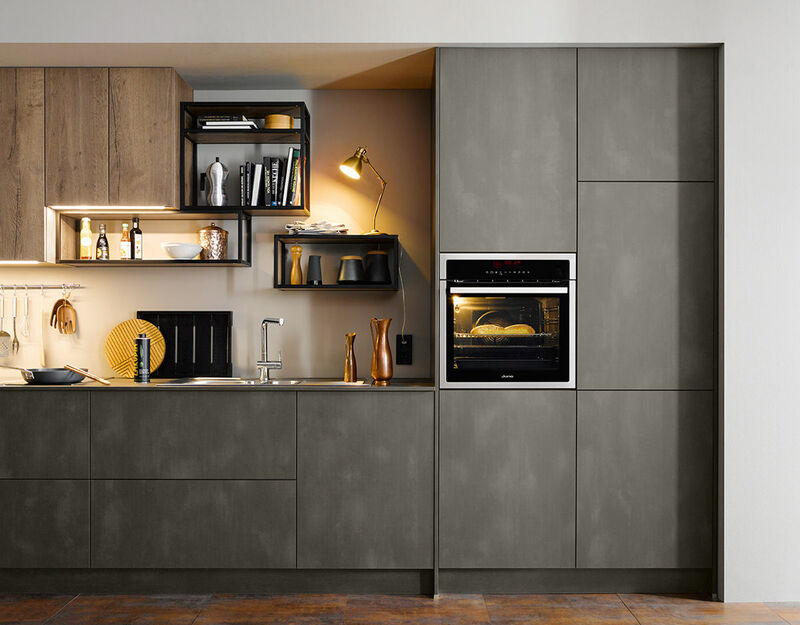 If your kitchen design includes integrated appliances, talk to your kitchen designer as there are some types of handleless units that work better than others. Your designer – or one of our members of staff – will be able to advise you on the best units for the job.